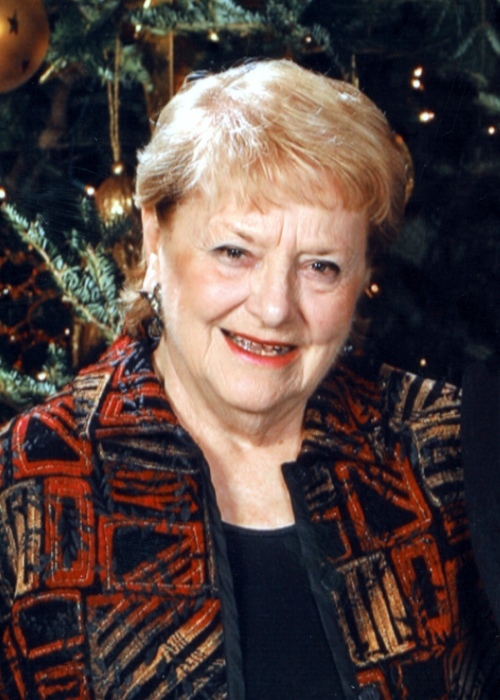 Shirley Jean (Fulton) Kilcoyne, a proud member of the Greatest Generation and an active merrymaker, passed away on Saturday, January 19 in Tampa, Florida. She was 92 years young. Shirley was born in Topeka, Kansas on Aug. 20, 1926 to Bryan and Bernice Fulton of Sabetha, Kansas, 403 E. Main. Bryan was a much beloved mail carrier for the Sabetha Post Office. After graduating from Sabetha High School in 1944, Shirley attended Washburn University. With WWII in full swing, Shirley and her friends paid their civic duty by entertaining military officers at the local USO club. One particular officer, a member of the 101st Airborne, was gobsmacked upon seeing Shirley. He assured his friends she would someday be his wife. Shirley married David Jack Kilcoyne in 1947. Shirley and Jack had an adventurous marriage, moving fourteen times, while Jack worked as a hospital administrator for what is now known as the VA. With two children in tow (Jacqueline and David) they crisscrossed the country, living at one point in a Quonset hut in snowy upstate New York and later settling for a few sunny years in San Juan, Puerto Rico. Shirley was a licensed real estate agent for 55 years. Early in her career in Gainesville, Florida she was part of the site selection team for Disney World. While living in Puerto Rico, she worked as the social director for Cunard cruise line. After moving to Tampa, she worked as a realtor with Smith & Associates for over twenty years. Shirley was always the life of the party. She never missed an opportunity to cut a rug or imbibe a cocktail. Although heartbroken after her beloved husband died in 1986, she continued to live life to the fullest, traveling the world and driving through all 50 states. She enjoyed the later years of her life traveling with her son and daughter and spending time with her grandchildren. Even after she turned 90, she didn’t let age stop her from having fun. Her last grand adventure was a road trip through Kansas and all the way to Glacier National Park. This three-week adventure included three stops to the emergency room, but Shirley was still having fun flirting with the medics and asking for a cocktail. Shirley loved Sabetha until her last breath. She returned to Sabetha every summer for her high school reunion - the upcoming reunion would have been her 75th. Shirley is survived by her daughter Jackie Kilcoyne Farley, her son David Fulton Kilcoyne (Karena), her grandchildren, Bryan and Caitlin Farley, Cassie Kilcoyne Levy (Grant), Jessica and Jackson Kilcoyne, her great-grandson, Jace, and her sister, Beverly Heptig. A viewing will be held on Friday, February 1, 2019 from 3:00-5:00 p.m. at Popkess Mortuary in Sabetha, KS. Memorial service will be Saturday, February 2, 2019 at 10:30 a.m. at Popkess Mortuary. Interment will be made in the Sabetha Cemetery. In lieu of flowers, donations may be made to the Albany Historical Society, c/o Alex Dawdy, President, 1403 Kansas Road, Sabetha, KS 66534.